Does your kindergartener need help learning his numbers? Not sure how to teach him? Alpha Omega Publications has the answer—the LIFEPAC Kindergarten Math Student Book 2! This colorful, consumable workbook from Alpha Omega Publications has encouraging lessons made just for your young student! This easy-to-follow student book covers essential, math-based topics like directions, colors, shapes, sequencing, problem solving, addition and subtraction from 1-10, place value, time, money, and skip counting. 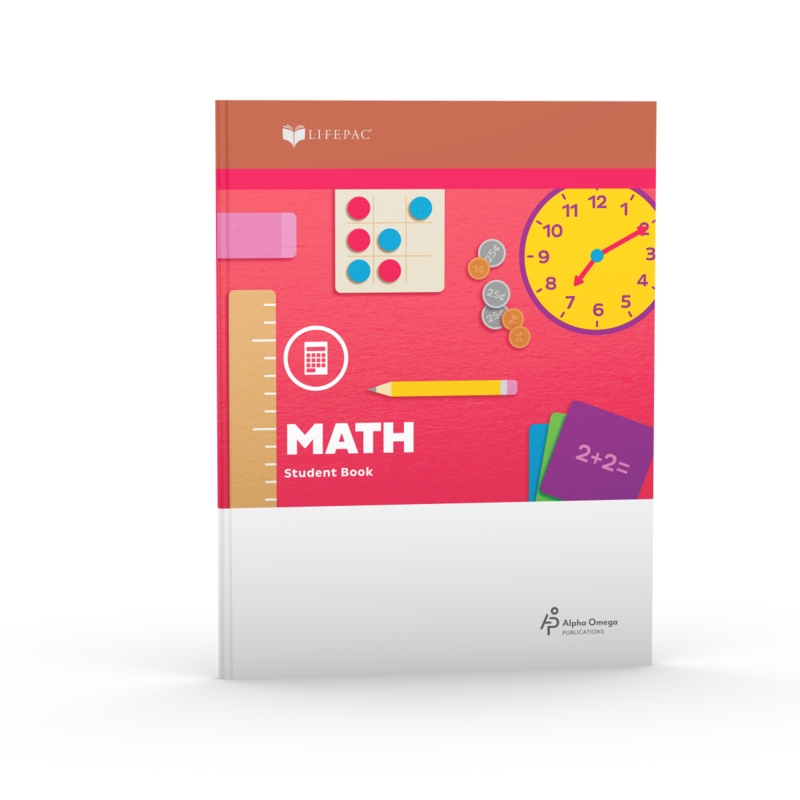 Filled with step-by-step lessons, this second of two LIFEPAC Kindergarten Math Student Books is made to build solid arithmetic foundations that will prepare your child for first grade! And there's more! The LIFEPAC Kindergarten Math Student Book 2 also has perforated pages for easy removal. This thoughtful convenience makes it much easier for your student to complete math problems and practice writing numbers! And this homeschool student book has bright, cheerful illustrations to motivate student learning! Isn't that great? The LIFEPAC Kindergarten Math Student Book 2 also offers flexible lessons perfect for personalized instruction! And consistent reviews and integrated subject material are included in this Alpha Omega curriculum to ensure student comprehension. So don't wait to teach your child math—it's so easy and fun! Just order the LIFEPAC Kindergarten Math Student Book 2 and get started today.